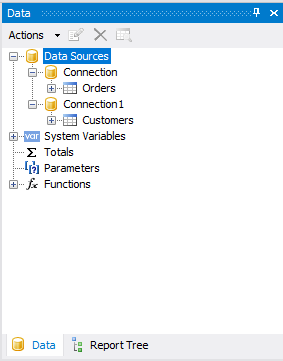 How to merge several csv files into one - Fast Reports Inc. 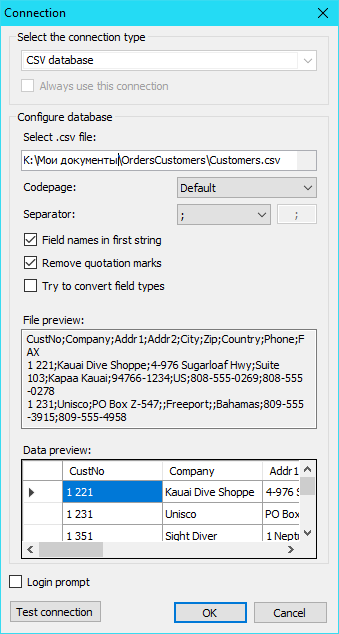 This article aims to provide the insight into how to use FastReport.Net to merge two logically related CSV files into one. 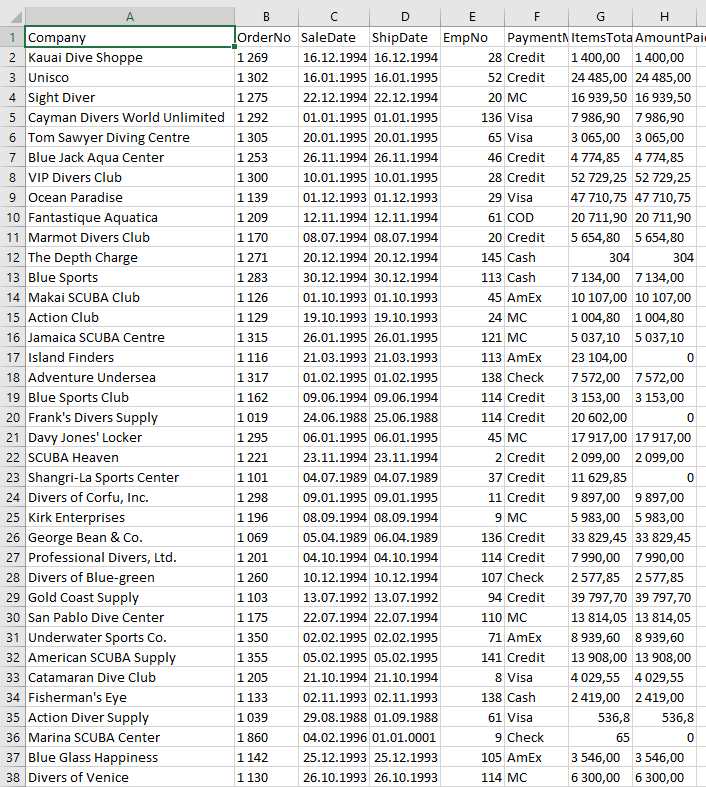 Storing data in CSV files is often very convenient. You can always open such files by any text editor and tweak them. But what if in one document there are references to data from the other document? 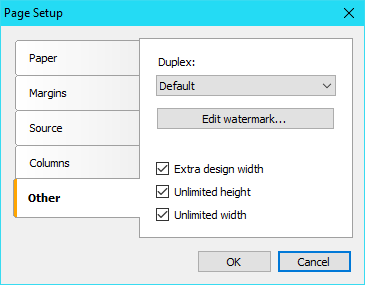 You have to merge two files into one, for further convenient work with the CSV document. It can be done manually, which is rather time - consuming, or you can use Excel, that requires some knowledge of the macros. The third way is the most easy-to-handle - to use FastReport. So, we have two CSV files. One contains a list of orders, the second one - a list of customers. We need to display the customers' names and phone numbers for each order. 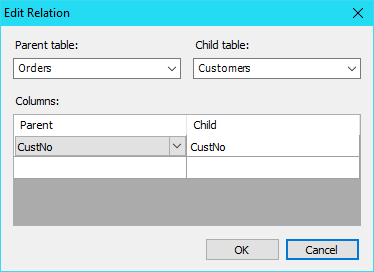 The Orders table has a foreign key "CustNo' to the Customers table. In turn, the Customers table has the primary "CustNo" key. As you understand, we will link the two tables to this field. One more data source is the second file. Now we need to link two tables. 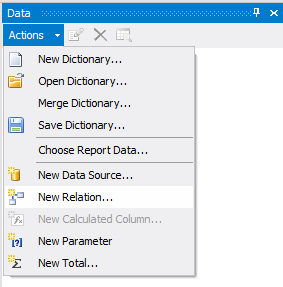 To do this, click the drop-down menu "Actions" and select "New relation". For the Customers table now there is an associated table "Orders". On the "Other" tab we set properties: Extra design width, unlimited height, unlimited width. The last two properties allow you to expand your report page to the required size in the report view mode. Now run the report in preview mode. Click "Save" and choose "CSV file...". Now agree with the default export settings and set the location of the file saving. 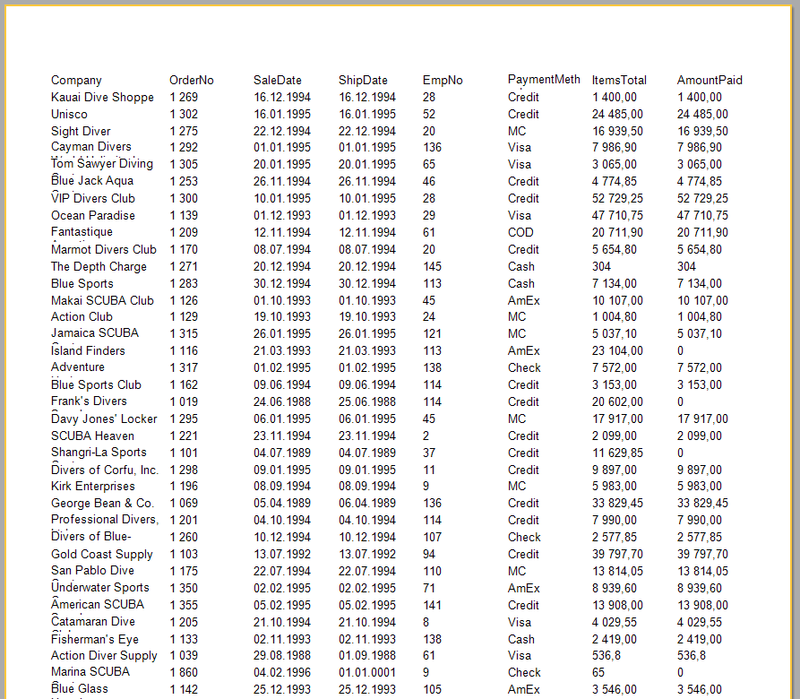 As a result, we have a CSV file with information about orders and the company name instead of the CustNo identifier. 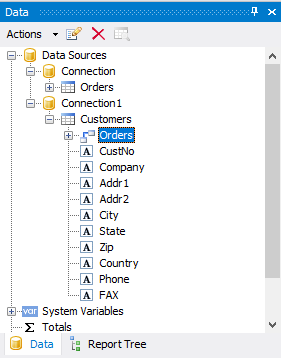 Using the introduced way, you can merge as many tables as you need from different CSV files, which is really time - saving. Creation of a merged file takes about 10 minutes.